Both modern and timeless, Palms Place is a complete package of luxury, style and convenience. The 58-story structure officially opened just over ten years ago, making it not only the newest of the three towers in the Palms Casino Resort complex, but also one of the most contemporary high-rises in all of Las Vegas. Less than two miles west of the Strip, Palms Place is close to the action, but maintains its own identity with plenty of comfortable breathing room. 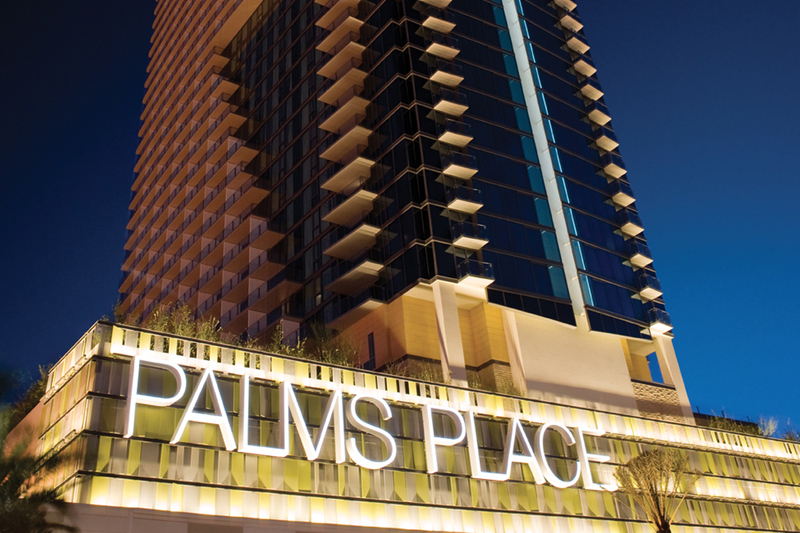 Palms Place sets itself apart from the hotel component by offering 599 condo units. 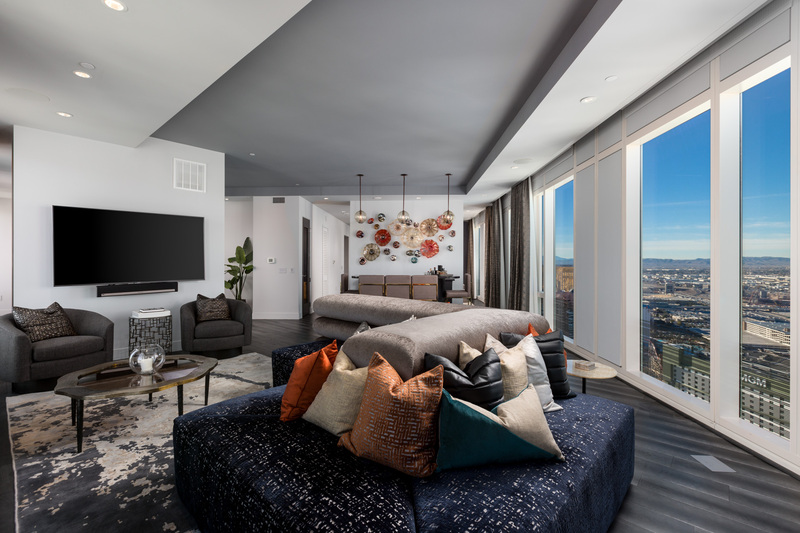 All come fully furnished with kitchens and floor-to-ceiling windows that showcase Strip views to the east or mountain views to the west. Most have open-air balconies, allowing residents to soak in the brisk desert air while checking out the bright lights of Las Vegas. Optional housekeeping is available around the clock. Studios are 615 square feet, while one-bedroom suites are 1,220 square feet. The two floor plans can be connected to form a two-bedroom suite. 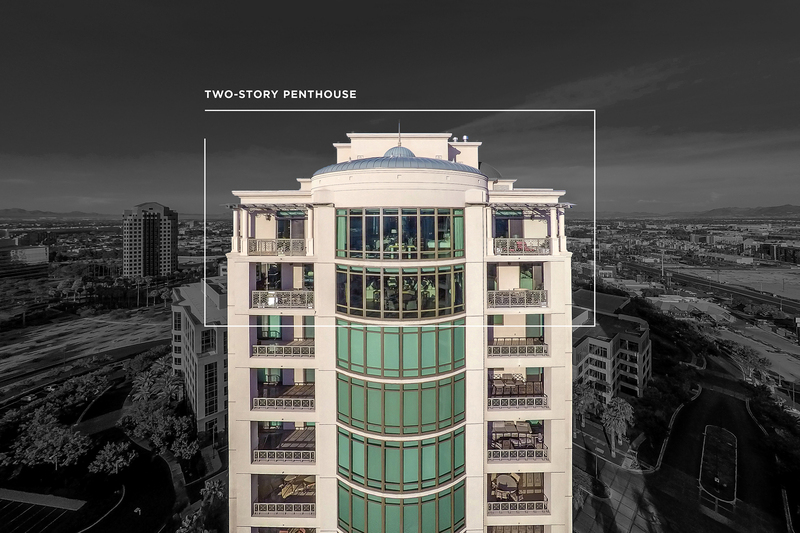 Five distinct penthouses are found on each of the top four floors and rank among the most indulgent in Las Vegas. 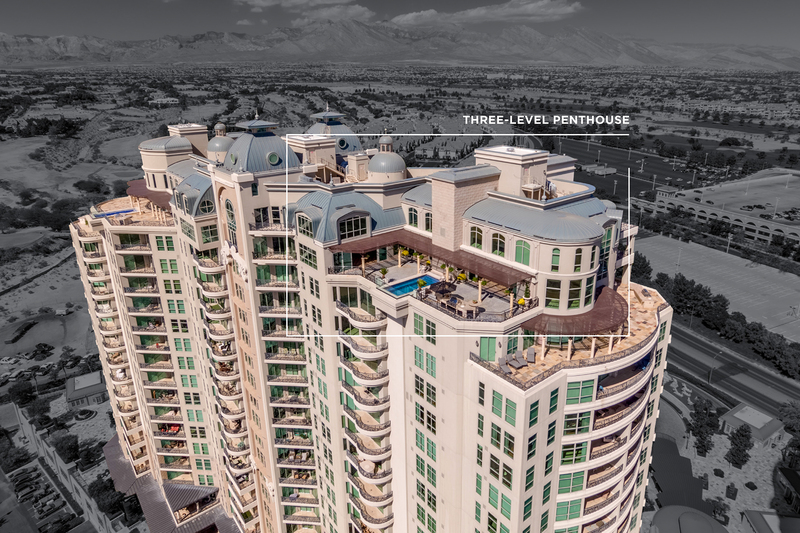 Noteworthy for open-air terraces with infinity-edge spas, the penthouses range from 1,328 to 3,905 square feet and are a true representation of the luxury lifestyle. All residents enjoy free valet parking, a business center, front desk and concierge services. Cocktails are served on the ground floor at Rojo Lounge, a seductive social spot with red lighting and vinyl booths. Venture to the sixth floor, where Laguna Pool House and Kitchen features classic American food near a 50,000-square-foot swimming pool. 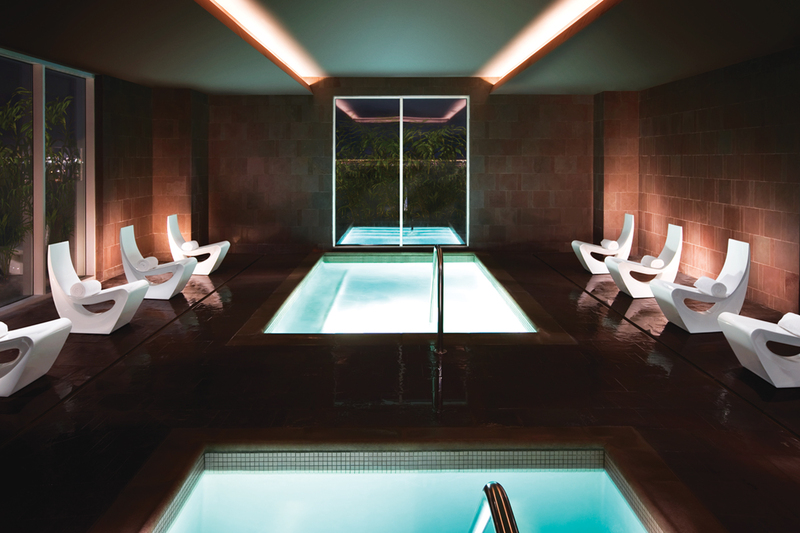 Memberships to the fitness center and Drift Spa & Hammam are included, so feel free to follow up a hard workout with a deep soak or Swedish massage. 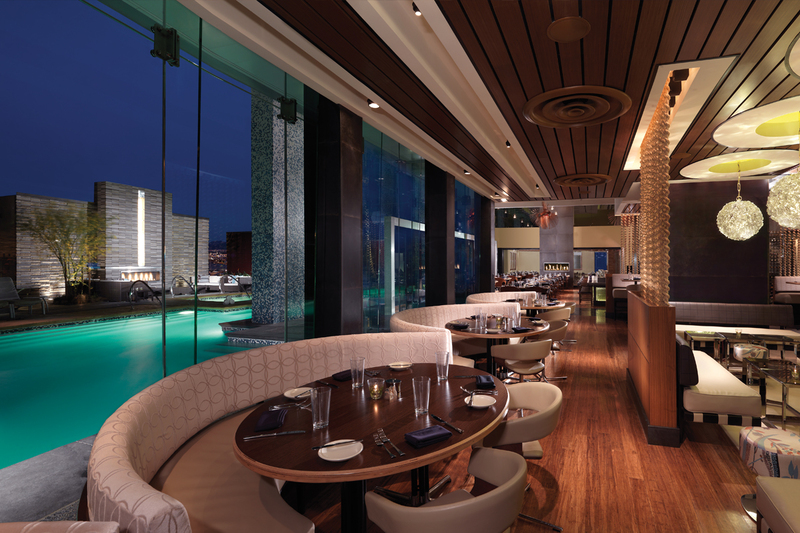 Now under the ownership of Station Casinos, the Palms’ casino and hotel areas are undergoing a $620 million renovation that has already seen the addition of Scotch 80 Prime steakhouse, Camden Cocktail Lounge and Apex Social Club, a late-night lounge with an outdoor patio located on the 55th floor of the Ivory Tower. The casino floor and hotel lobby have been upgraded with a fresh new feel. In the months to come, the property will welcome a new pool, spa and restaurant concepts by Bobby Flay, Marc Vetri and Michael Symon. 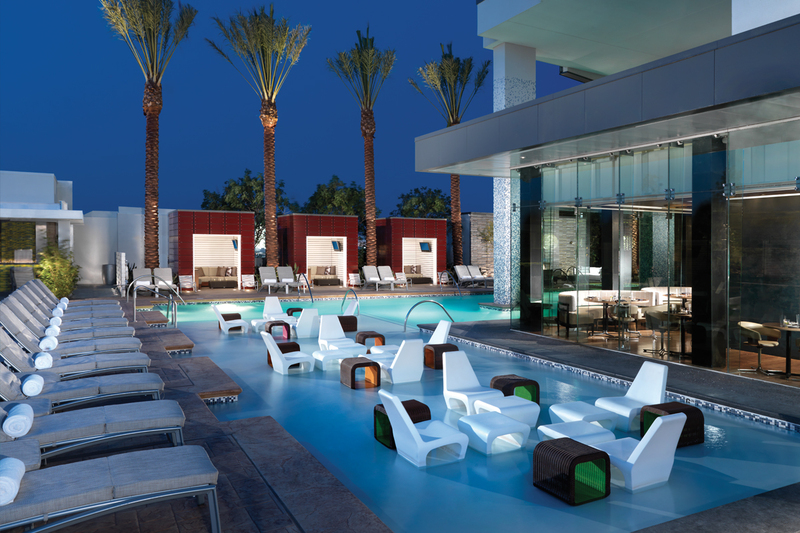 Palms Place residents are just steps away from the new developments and can enjoy discounts of 20 percent at restaurants and 25 percent for spa treatments. Whether an intimate studio or lavish penthouse, a unit at Palms Place can be a rewarding investment. Enjoy it yourself or rent it out, either independently or through the Palms’ in-house program. With so much happening in a prime location, Palms Place promises to offer comfort and excitement for years to come.